Amidst the serenity of the rainforest, mountains and crater lakes, the heritage village of Yungaburra comes alive on the 4th weekend of October each year, with this vibrant, creative festival. 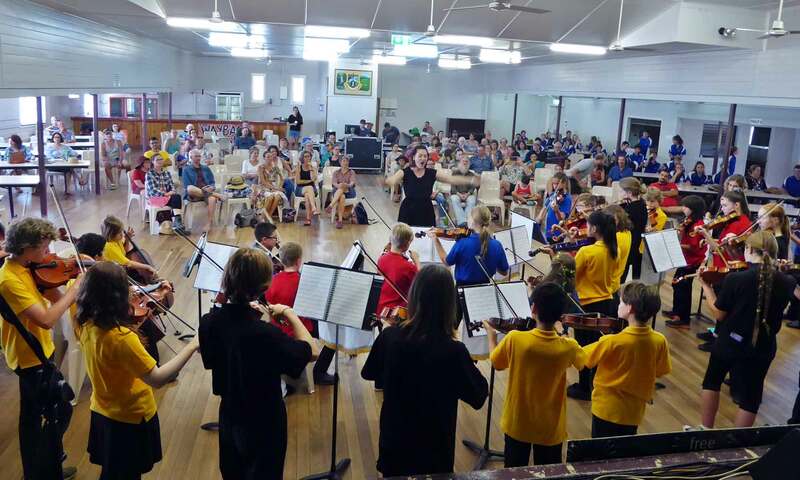 Celebrating music, friendship, and cultural understanding, Tablelands Folk Festival is an outstanding community event, completely run by volunteers for over 35 years. Visitors to Tablelands Folk Festival are impressed to find such quality talent, live and original, across so many genres including Traditional and Contemporary Folk and World Music, Blues, Jazz, Gypsy Jazz & Swing, Flamenco, Reggae, Country and Rock. Internationally renowned acts perform alongside emerging local talents in a variety of venues throughout the Village. From the big stage to the more intimate and casual, visitors are sure to find music to lift their spirits, freshen their mind and get their toes tapping. Our 3-day event includes Concerts, Workshops, Comedy, Buskers, Poet’s Breakfast, Health & Wellness Fair, Market Stalls, Songwriter Competition, Children’s Festival & Parade, & the famous Pub Verandah non-stop Traditional Folk Sessions. As seen in Flightnetwork’s Article – Australia’s Top Music Festivals of 2018.